In one of the weirdest international squad selections we’ve seen in quite a while, Brazil boss Dunga decided to drop Coutinho and Thiago Silva for Kaka and Gabriel Paulista respectively for their upcoming friendlies versus Costa Rica and USA. When we first saw the news, we thought the internet might be overreacting, and that Dunga was selecting a mainly homegrown squad – with the aim of avoiding his better players the trip across the Atlantic – but his quotes suggest a genuine dropping. “We gave him a chance in Copa América. You can’t build with just youngsters, you need experience to help,” he said. So while Liverpool, Brazil and football fans in general were extremely surprised by the news, and castigated Dunga for the decision, many Reds were delighted our playmaker will be staying with us – maximising his chances of top fitness. I’m not too sad Coutinho got dropped by Brazil. Not the slightest. Twitter is crazy with headlines “Brazil DROPS Coutinho”, oh pipe down it’s just a friendly. Everyone knows Coutinho is Brazil’s future. Personally not bothered that Coutinho isn’t selected, just means he will be more fit to play for us. Hope Coutinho doesnt take it badly tho. No place for Philippe Coutinho in the Brazil squad. 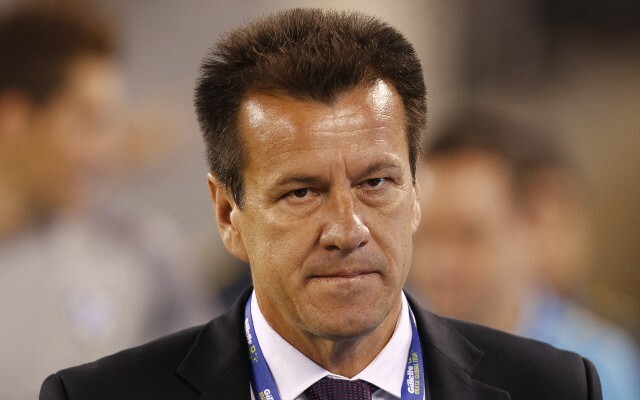 Dunga must have turned off Stoke City v #LFC after 85 minutes. Bit harsh on Coutinho, that. Clearly he needs to show he can do it on a cold, windy midweek night at Stoke. Not a Sunday afternoon. Coutinho didn’t deserve to be dropped but at least he won’t be playing in pointless friendlies. Wish Firmino was “dropped” as well. How could you leave @Phil_Coutinho off the @brazilsoccer squad? What a joke. @Paul_Winn Coutinho is the only player in the side who plays the old Brazilian way. Such an asset. I wonder what made Dunga think otherwise.